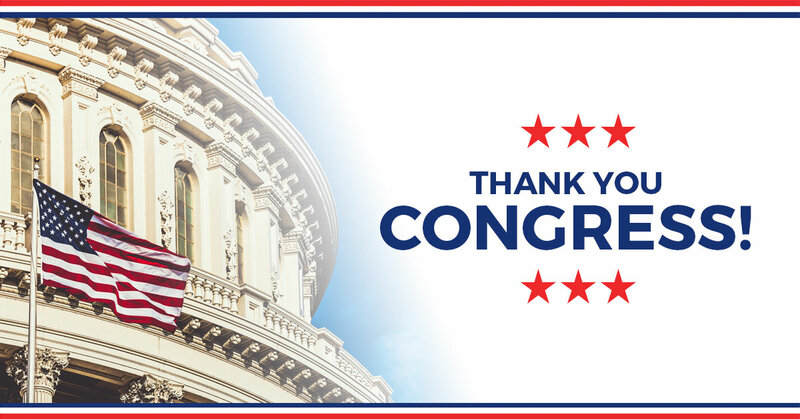 On behalf of the supporters of Iowans for Tax Relief (ITR) and National Taxpayers Union (NTU), we write to applaud your willingness to tackle the timely issue of property tax reform. Throughout your tenure as Speaker, you have displayed a dedication to protecting taxpayers and reining in the size of government. Ballooning property tax burdens have been a concern for some time, but taxpayers across the state can take comfort that your steadfast leadership will address and solve this growing problem. On the heels of the largest tax cut in state history, the Legislature now has an excellent opportunity to provide even more taxpayer protections for Iowa residents. Taxpayer advocacy groups such as ITR and NTU were highly supportive of your tax reform efforts. As a result of your hard work overhauling the tax code, every individual and business will get to keep more of what they earn. Importantly, these tax cuts were enacted in a fiscally responsible and sustainable manner without jeopardizing future budgets. With all Iowans now benefiting from a lower state income tax burden, you and your colleagues should make property tax reform a priority for the 2019 legislative session. As research from Iowans for Tax Relief has noted, total Iowa property tax collections have increased by more than 100 percent from 2000 to 2017, which is double inflation and population growth. As the growing assessments and soaring property tax bills of recent years have demonstrated, the current system can create uncertainty and hardship for Iowa taxpayers, taking a bigger bite out of family budgets. This issue crosses party lines, with more than two-thirds of Iowa voters agreeing that the Iowa Legislature should review the issue of property taxes during the 2019 session. ● Support a cap on future property tax revenue growth. Limiting the property tax rate is important, but limiting the total amount of property taxes collected at the same time is key to keeping property taxes under control and defends against ever-increasing property assessments. Property tax limits around the country typically allow local revenue to increase only through an affordability factor tied to personal income growth, inflation plus population growth, inflation growth plus additional value from new construction, or inflation plus student enrollment growth. ● Set a supermajority. Most successful property tax limits impose a high “override” requirement on the local governing body (two-thirds or three-quarters). To protect taxpayers and to make sure the reforms you adopt are meaningful, we suggest a high override threshold that cannot be easily tossed aside, and/or a voter approval safeguard for any attempts to circumvent a tax cap. ● Increase public input and transparency. Require a public referenda for school and local government projects over specified dollar amounts determined by the Legislature. If increased assessments will create automatic property tax increases, an extensive public notification and hearing process that not only notifies citizens of the intent to raise taxes, but also explains why additional revenue is needed, has proven effective in other states. ● Make certain the limit applies to all taxpayers. While it is tempting to divide taxpayers into separate and distinct legal classifications, none should be singled out for punitive treatment through “split roll” or other schemes. Business owners, farmers, and homeowners may face different methods of assessment or property categories, but they all deserve the protection of limited taxes. ● Ideally, assessed values should reflect market values. The assessment process, as well as the appeals process, must be fair and accurate and not slanted against the taxpayer. ● Don’t forget administrability. In 2014 the Council on State Taxation and the International Property Tax Institute graded states on the fairness and efficiency of their property tax administrative practices. Iowa received an overall grade of “C-,” coming up shortest in the category of “procedural fairness.” Any property tax reform effort should focus on simplifying categories of property, increasing transparency in assessments and valuations, and providing a fair, expeditious appeals process. An extensive public hearing process should also be strongly considered as part of the property tax solution. Enacting new protections to shield Iowa’s families and businesses from rising, unaffordable property tax bills should be a bipartisan and common sense task. Done correctly, these reforms can rein in local government spending and force them to make the tough choices for funding priorities. If you have any comments or questions, or would like to discuss the property tax reform approaches of other states, please do not hesitate to contact Chris Ingstad at cingstad@taxrelief.org or Thomas Aiello at thomas.aiello@ntu.org. Thank you for your time and consideration of our views.